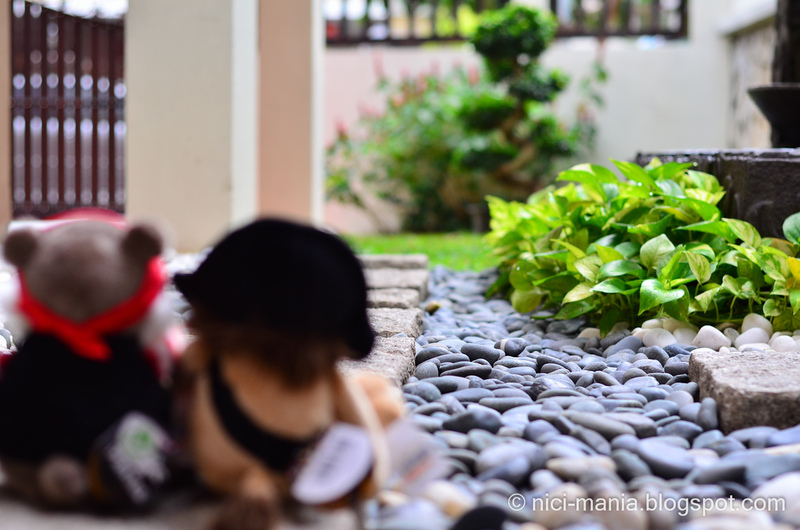 Previously on NICI Pirates Plush, we that pirate gecko was missing. 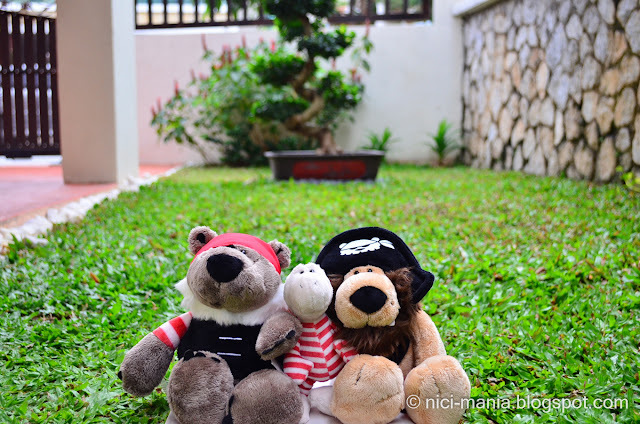 Pirate lion and bear go in search for gecko in NICI's version of Pirates of The Caribbean! 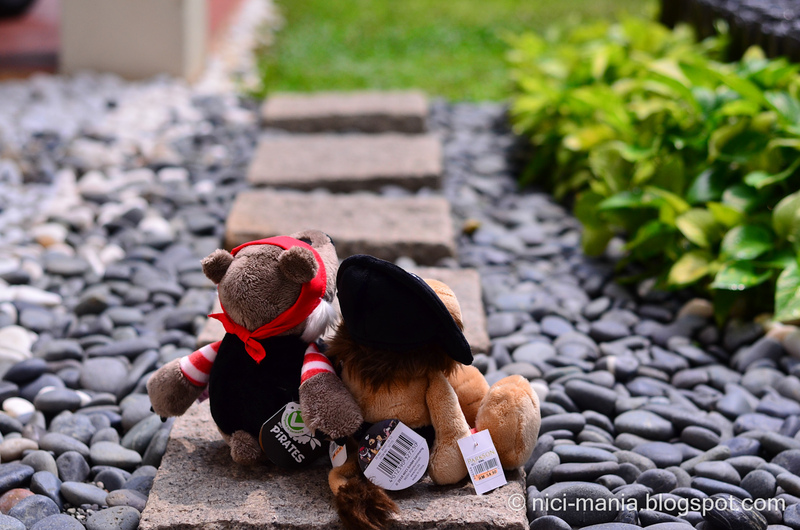 Pirate bear and lion decide to go search for gecko, their nakama (friend) who was missing from the NICI pirates team. 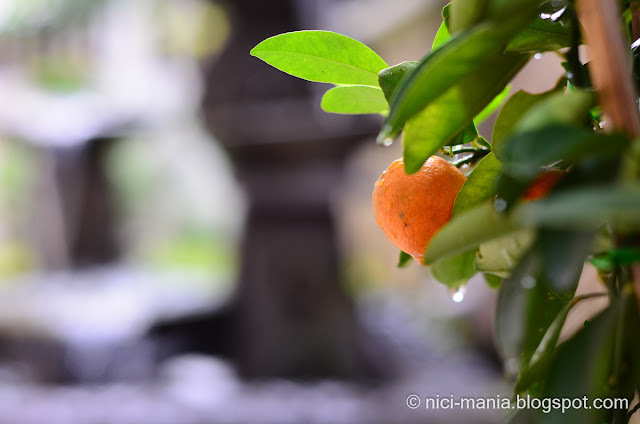 As they start off with their Pirates of The Caribbean adventure, the pirates immediately came upon an orange colored fruit. Pirate Lion: Shall we pluck a few and eat? It might give us special powers!! Pirate Bear: Ya right...Come one, let's head out to another area. Pirate Lion: Gecko is a lizard, he likes to hide around narrow dark places. 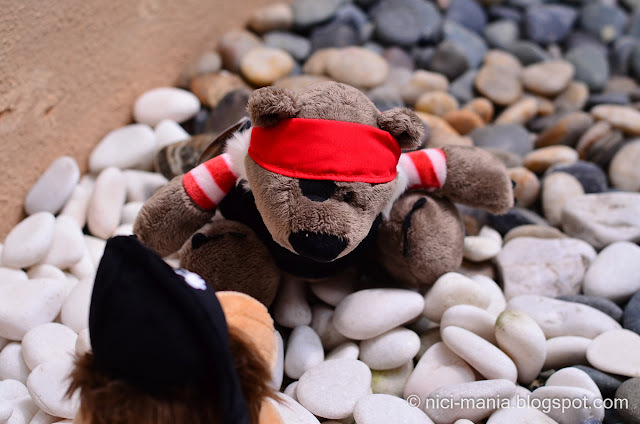 Pirate Bear: So you think he might be hiding in these pebbles? Pirate Bear: Aye mate, are we really gonna dig through this whole pile of rocks? 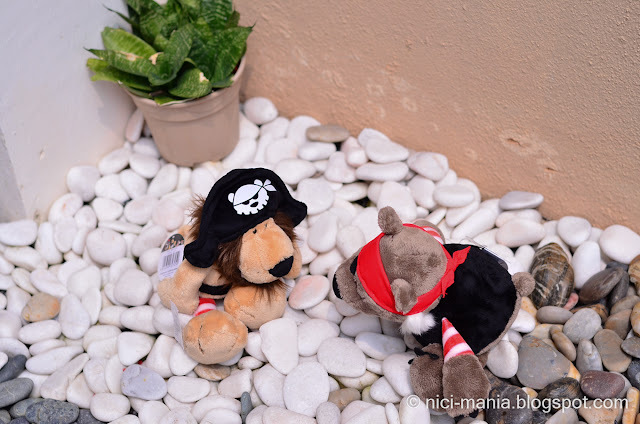 Pirate Lion: Keep digging, we might find something interesting beneath the rocks! 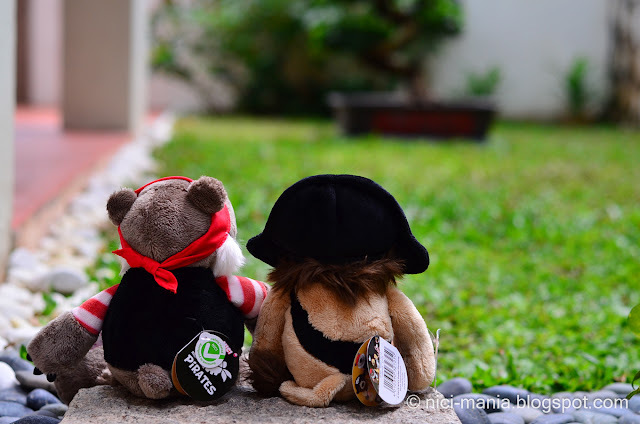 Pirate Lion: Okay, let's head for another place and search for Gecko..
Pirate Bear: Wait!!! Did you see that? Pirate Lion: Oh my god!! What's this? !........is it the f..f..f..f..f..Fountain of Youth?! 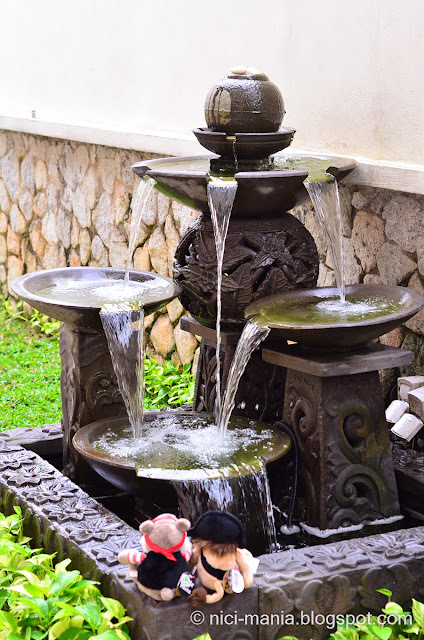 Pirates of the Caribbean's the Fountain of Youth laid upon the two pirates eyes. Pirate Bear: Can't believe we found the Fountain of Youth! 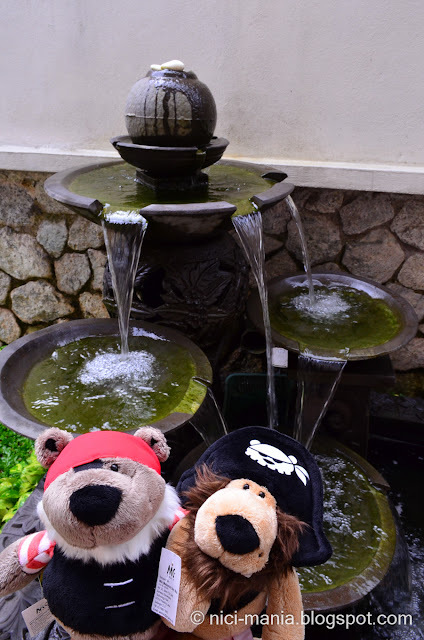 Pirate Lion: It is said that we can stay young forever if we drank the water! 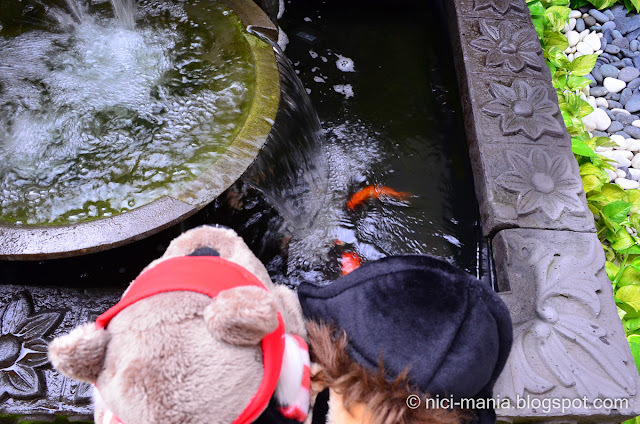 Pirate Lion: OH Mermaids!!! This must certainly be it! Pirate Bear: Wait a minute..are you sure those are mermaids? Pirate Lion: Of course they are you dimwit! 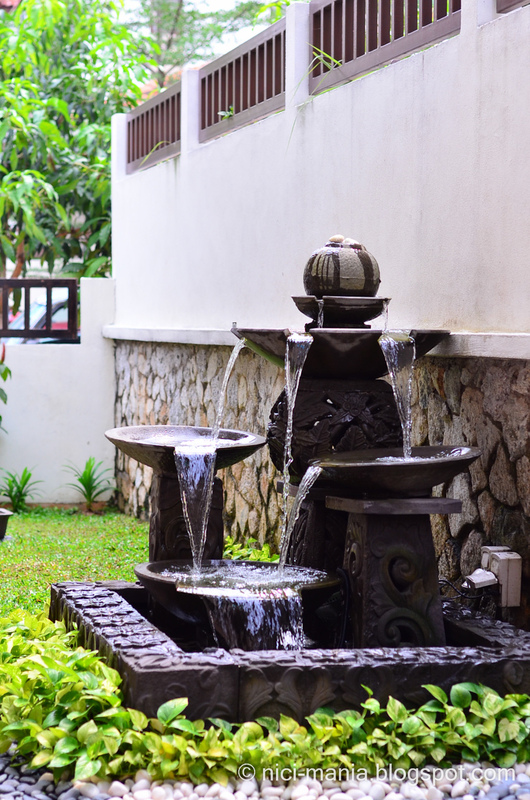 Let's take a sip of the fountain's water quick! 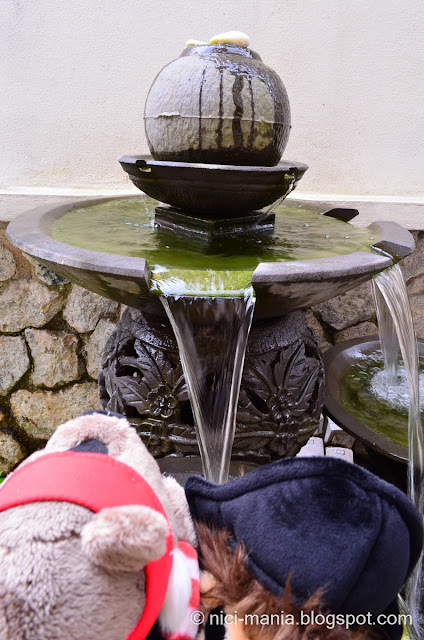 Pirate Bear: But if this is really the Fountain of Youth, then we need a chalice to drink from it. Pirate Lion: Who cares! This is some magical water, let's just both take a mouthful and see what happens. Pirate Lion: Okay now, do I look younger? Pirate Bear: I don't know mate, you look the same. Pirate Lion: I'm sure something is different with me, I can feel the energy inside me!! 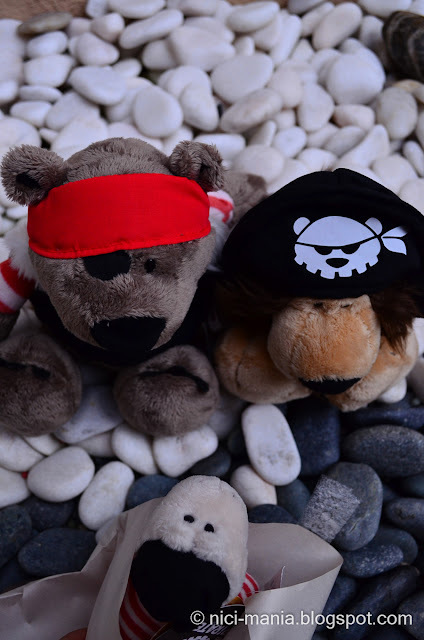 Pirate Bear: Why don't i feel anything at all?.. Pirate Lion: Come on, I'm bustling with energy. Let's go find our friend Gecko. 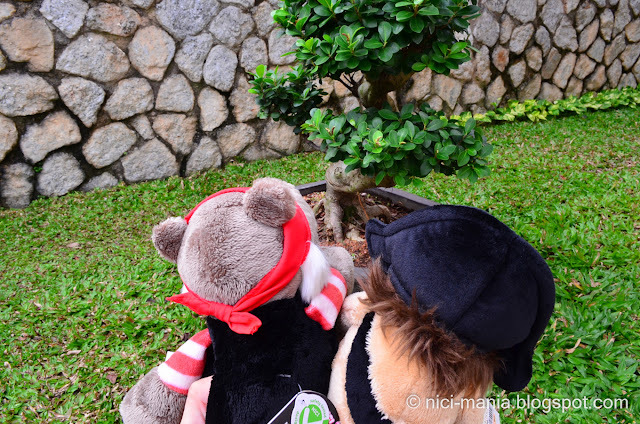 Pirate Bear: Alright then, there's some greener pastures ahead, lets go check there out. 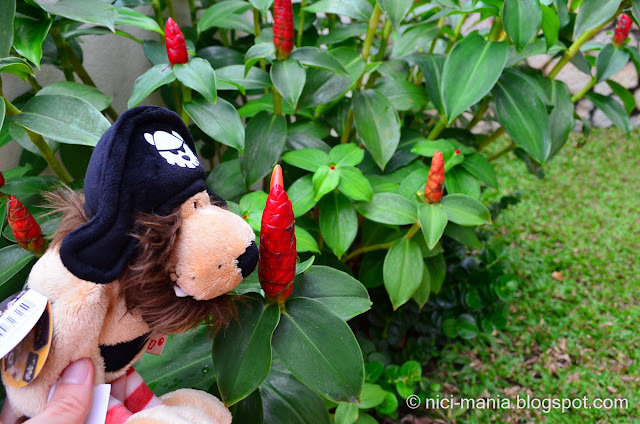 Pirate Lion: Look at this plant! I think this is the Tree of Life! I saw it in an old book. 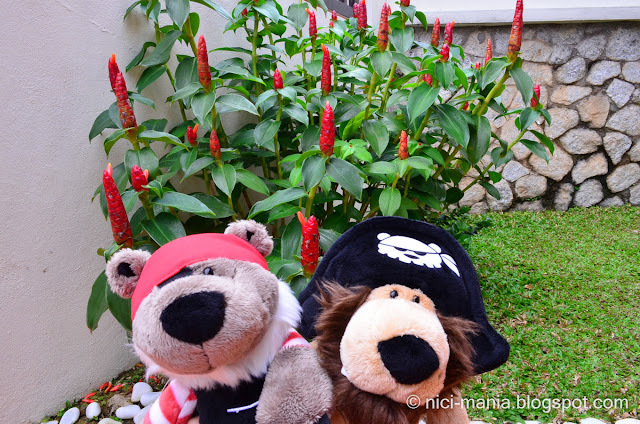 Pirate Bear: Oh..here we go again..
Pirate Lion: Hey mate, look at this red plant, do you know what is this? Maybe if I eat it I will grow taller! Pirate Bear: I've never seen this before but beware, bright colors usually means its poisonous. 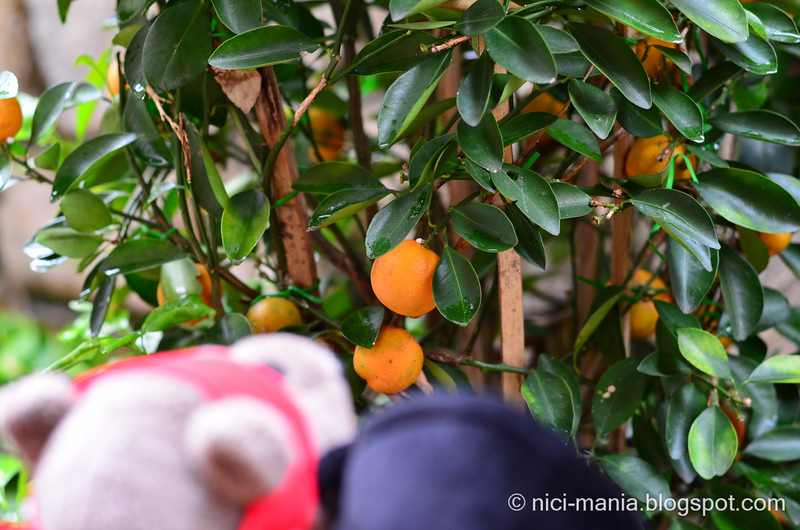 Pirate Bear: Wait, did you hear something?? I heard what seemingly sounded like a gecko's chirping sound. It is coming from the rocky area, let's go back and have a look. 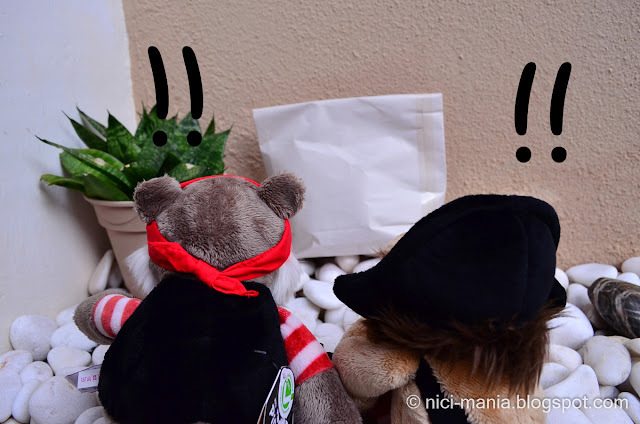 Pirate Bear: WHAT?!! This wasn't here just now, I'm sure we checked it very thoroughly. How could we have missed this? Pirate Lion: The package is sealed. What does Parkson means? Pirate Bear: The sound is coming from inside, quick! Let's open it up. Pirate Gecko busted out of the package and the exclaimed: You guys finally found me! I've been calling out to you guys all the time! What took you so long? Pirate Bear: Its that silly lion who's been playing all day long with everything around. Pirate Lion: Hey don't put all the blame on me, you were with me for everything. NICI Pirates finally reunited. Pirate Bear, Pirate Lion and Pirate Gecko. They will now set sail with their adventurous expedition around the world. Hope you enjoyed our NICI Pirates of The Caribbean. AYE! Good thing in the end they found it. By the way, the fountain of youth is very nice hehe. what an adventure! I love it! 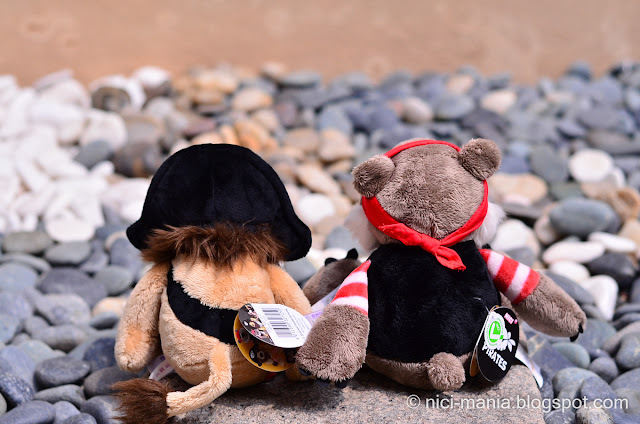 The story is very funny and creative, many thanks for sharing :-) We love pirate lion with his enthusiasm for all the interesting things they meet on their search. I think every lion is a know-it-all, that`s kings behaviour haha. And we are very happy that the pirates team now is complete, welcome Gecko!